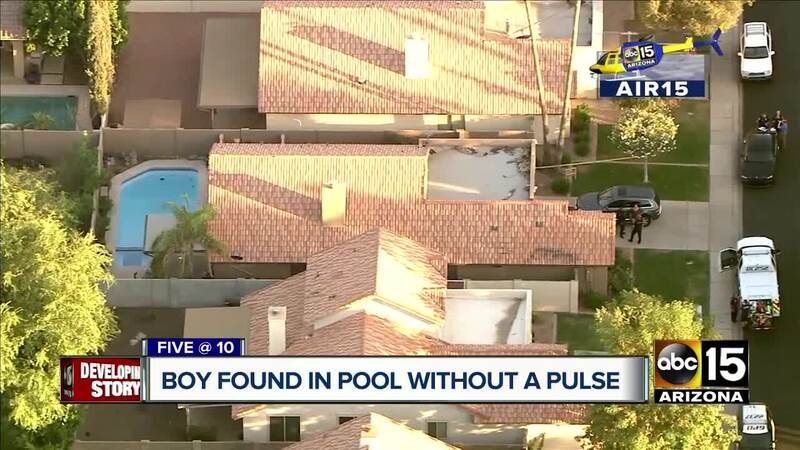 A 3-year-old boy has died after he was found in a Gilbert pool. According to Gilbert Fire and Rescue, the boy’s mother found the child in the pool. Firefighters say the child was not breathing and did not have a pulse when they arrived. It is unclear how long the child was in the pool before being discovered. Police are investigating the incident as an accident.